Acting Attorney General Whitaker Won't Recuse Himself From Mueller Inquiry Deputy Attorney General Rod Rosenstein, who appointed the special counsel, continues to oversee the Russia investigation and says it will be handled appropriately no matter who is in charge. 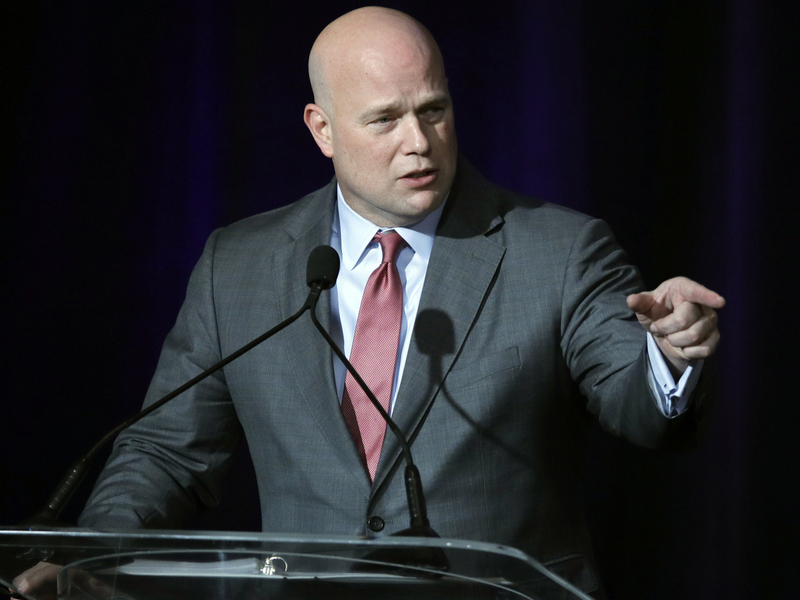 Acting Attorney General Matthew G. Whitaker has decided not to recuse himself from the special counsel investigation, the Justice Department told Congress this week. Deputy Attorney General Rod Rosenstein continues to oversee special counsel Robert Mueller's Russia investigation even though acting Attorney General Matthew Whitaker has decided not to recuse himself, the Justice Department says. President Trump tapped Whitaker, who had been serving as then-Attorney General Jeff Sessions' chief of staff, to lead the Justice Department on an interim basis after Sessions stepped down under pressure from the White House. But questions immediately arose about Whitaker's impartiality regarding the Russia investigation in light of critical comments he made about it. Democrats, in particular, seized on Whitaker's remarks to demand he recuse himself from supervising Mueller's probe into possible coordination between the Trump campaign and Russia. The Justice Department sent a letter to congressional leaders late Thursday that laid out Whitaker's decision. It said senior Justice Department ethics officials, including a top career ethics official in the deputy attorney general's office, had briefed Whitaker on ethics rules and guidelines. The career ethics official concluded there was no actual conflict of interest or personal relationship that would require Whitaker to recuse himself. But the official did say Whitaker's past comments about the special counsel's investigation could raise reasonable questions about his impartiality. The acting attorney general wasn't required to recuse, the official concluded, but said it was a "close call" and advised him to do so. Whitaker ultimately ignored that advice and decided not to step aside. He did so, the letter says, in part because he "does not wish to create the first precedent requiring recusal in a 'close call' situation." The letter closes by saying that Whitaker's recusal decision aside, the supervision of Mueller's probe remains the same. "There has been no change in the overall management of the special counsel investigation, which continues to be managed by the deputy attorney general," the letter says. The document was signed by Assistant Attorney General Stephen Boyd, the Justice Department's top liaison with Congress. Rosenstein also was asked about the special counsel investigation at a news conference on Thursday. He said the inquiry would be handled "appropriately" no matter which top personnel were involved — whether that involved him, Whitaker or Trump's nominee to serve as the full-time attorney general, William Barr. Barr's confirmation hearings are expected in the new year. He also has been publicly skeptical of the Mueller investigation.